FIST TO THE SKY- 2 Shows This Weekend! Need a show to go to this weekend?!? 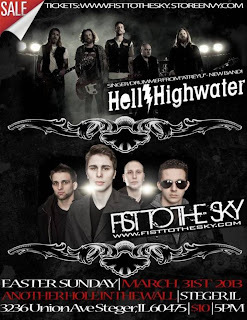 HappyHeadbanger's Independent Band of the Year, FIST TO THE SKY have 2 shows for you! First, on Friday the 29th at the Aloha Lounge in Libertyville, see FIST TO THE SKY, along with HappyHeadbanger's I.B.O.Y. runner-up INDOLENT and She Loves Seven. Show starts at 9pm! Then, on Sunday the 31st, FTTS travel to the south Chicago 'burbs, for a show in Steger, IL at Another Hole in the Wall, opening for Hell or Highwater (featuring former drummer/singer of Atreyu). Showtime: 6pm!! Don't miss your chance to see FIST TO THE SKY in action! In these times, heavy metal music is constantly evolving: creating new sounds or combinations of sounds, pairing elements of music from across various genres and subgenres of rock and metal. When I discovered Celtachor, who describe their genre as "Irish Blackened Folk Metal" I was immediately intrigued to hear what they sound like. 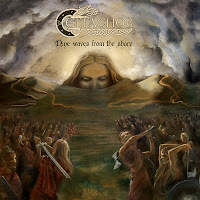 Their debut CD is titled Nine Waves From The Shore, and can be purchased through http://www.celtachor.com/ or find them on facebook. True to their description, they clearly have a strong black-metal influence. Add to this the traditional Celtic-style susato whistle, some acoustic guitars, and abundant references to Irish Mythology and you can't call this music anything other than 'Irish Blackened Folk Metal'. The black-metal style is the first impression you get as you begin listening to the first track: 'The Landing: Amergin's Conquest'. After a fade-in sound of waves crashing into the shore, heavy thrash-style riffs bombard you along with thundering bass-drumming. The lyrics tell the story of Amergin's conquest of Ireland, part of the Invasion Cycles of Ireland's Mythology. Specifically this epic, ten-minute song recants the the tale of how Amergin, The Druid of the Gael, leads his people to claim the land from the Tuatha, avenging the death of Ith in the process. Each successive song proceeds to bring light to other tales from the same era. 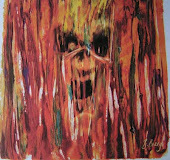 Vocals are shrieked or screamed throughout, clinging close to the known style of black-metal. It is when the susato whistle enters the mix, providing Celtic folk-style melodies, that Celtachor set themselves apart from the crowd. The music of Celtachor has an ebb and flow to it, as aggressive elements intensify then periodically subside to allow the softer, melodic side of the music to rise to the surface. Just when you think you've heard all that Celtachor have to offer, they reveal something new. More tales from the mythology are told through the lyrics of each successive song. Plights, of characters such as Dobd, Annan, and the Dagda are brought to life with a soundtrack of furious thrash riffs and a menacing voice. If you are an open-minded fan of extreme styles of metal music, then you will want to give Celtachor a listen! 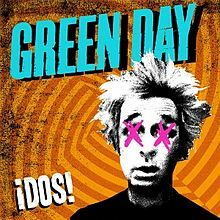 Green Day-iUno!, iDos!, and iTre! Now prepare yourself for a toxic blend of pop-punk mayhem, and angsty revolution-rock that is perhaps similar to what you may have heard before, yet still totally new! 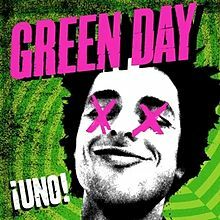 iUno!- My first dose of this album was the lead single 'Oh Love', which I honestly found to be a mediocre song, and did little to pique my interest in this album, but after hearing the rest of it, I am glad I did not write it off completely. In fact, a couple songs on this volume ('Nuclear Family' and 'Carpe Diem') have become, arguably, my favorite Green Day songs ever. iDos! starts off with a little different feel. The first track, 'See You Tonight', is a subdued acoustic number recorded in mono. It actually reminds me of the way 'Song of the Century' introduced 21st Century Breakdown. 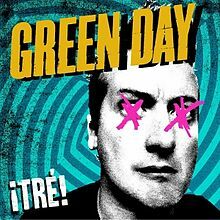 Most of this CD sounds very consistent with the 1st, but the track 'Nightlife' really brings something new, as Green Day incorporate some elements of hip-hop. The closing number, 'Amy', winds the album down gently, as Billy Joe plays this one on his own: no drums or bass, just him and his guitar as he sings this gentle ballad. iTre! is perhaps the most unique of these three releases. Overall I find it to be more laid-back and mellow than the first two. There are still songs of classic punk-rock brilliance, as we've come to expect from Green Day, but they seemed to have saved several ballads for this one. I might point to the song 'X-Kid' as the most memorable offering on this album. It is a slower-tempo, coming-of-age rock song. The kind of song where we realize part of Green Day has grown up and are letting us know who they are and where they came from. We get a heavy dose of socially conscious commentary with '99 Revolutions', whose lyrics read like a play-by-play breakdown of the recent financial crisis and economic recession. Calling all fans of Iron Maiden, Black Sabbath, and UFO! 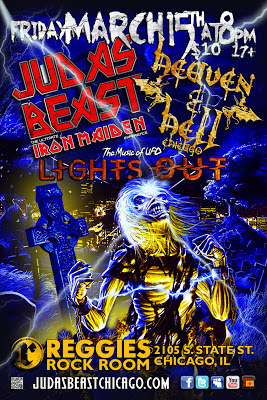 This Friday, March 15th, at 8pm three great tribute bands will be playing at Reggie's Rock Club in Chicago's south loop: Judas Beast, Heaven & Hell, and Lights Out! Tickets are just $10. For more info visit the event-page on Facebook. Since hearing her music for the first time at Dame-Nation 2011, I have been eagerly anticipating the first solo-release from Lindsay Schoolcraft (AKA Lindz Riot, formerly of Mary and the Black Lamb). In late 2012 she released that debut, Rushing Through The Sky. This EP is a collection of ballads that blend classical music with mainstream rock. Schoolcraft primarily composes on piano, and as such, most of these songs are piano-driven with some light percussion. Backing elements of choirs and strings may be synthetic, but help to enhance the songs' emotions and give them a fuller sound. There is one song, 'Darkness Falls', that is played on the harp, and is more of a stripped-down composition, as about 90% of the song is only the harp and Lindsay's light, lyrical soprano voice. It is rewarding for it not only shows Lindsay is a talented, multi-instrumental musician and songwriter, but it also adds a key element of variety to make this EP more interesting. Lyrically, many songs portray the struggles of finding one's self in life. 'Masquerade' is one song I find especially moving. The lyrics weave a tale of the compromising nature of maintaining a relationship, while asking the question of when personal sacrifices become too much. The crux of the song is perhaps best summed up in the line, "For you, I'd give anything, but not the last of me..." That is the true challenge in music: conveying the emotion felt by the composer through the music they write. In that regard, Rushing Through The Sky is a shining success. Each composition is a tiny window into another facet of the musician's soul. It is impossible to listen to these songs and not feel like you know and understand Schoolcraft as a person, at least a little. 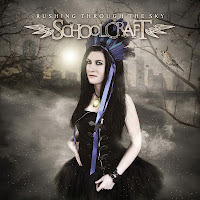 In summing up, Rushing Through The Sky is a great collection of symphonic-rock ballads, and highly recommended for those who enjoy the softer side of acts like Evanescence, Within Temptation or Nightwish. It is available for purchase through several outlets found on her facebook page, including: itunes, twitter, reverbnation, soundcloud and more! 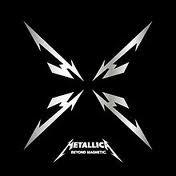 In the aftermath of Metallica's Death Magnetic album and tour, they released an EP titled Beyond Magnetic. This was a collection of 4 songs from the Death Magnetic sessions, and an essential addition to the collection of any die-hard Metallica fan! Hate Train- This song is a straight forward thrasher for the verses, and changes things up with melodic bridges featuring some clean guitars (no real chorus). Metallica get creative with some riff progressions towards the end of the song. One of the main riffs of this song strongly reminds me of the primary riff from 'Fuel'. Just a Bullet Away- A chugging, mid-tempo, heavy song... until the clean breakdown segment emerges at about the 5 minute mark. From there it builds back up again, eventually returning to the original heavy riff. Hell and Back- Starts off with a clean and haunting intro. Moves on to a faster, heavy riff that is reminiscent of 'Broken, Beat and Scarred'. I wonder if this similarity is perhaps the reason if was left off of Death Magnetic? Throughout this song the band goes back and forth between these clean and heavy elements. Oh, and some great guitar soloing from Kirk Hammett can be heard here also! Rebel of Babylon- Another song with a clean intro... soon to be subjugated by another thrashy, heavy riff. At this point, it becomes the most intense song on this EP. When the chorus hits you, you get a very catchy hook that satisfies the fans from the 'Black Album' era. The lyrics are full of religious symbolism, as James Hetfield sings about the Stigmata, the crucifixion and redemption. However, this song would not be complete without another killer guitar solo from Kirk. This is my favorite track on this EP. I seriously wonder why it didn't make the Death Magnetic cut. It would have made an already great album even better!